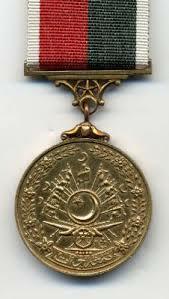 PESHAWAR, Aug 24 (APP): President Mamnoon Hussain has conferred Tamgha-e-Shujaat (Posthumous) on Abdul Wajid Khan Shaheed, a Peshawar-based contractor. Wajid Khan, 43, embraced martyrdom along with his driver while driving from Quetta to Panjgur Town in an attack by unidentified miscreants on May 29, 2015. Wajid Shaheed’s Premier Construction Company has been working on a project in the area, which is part of the CPEC. He leaves behind a widow, two daughters and a son. He was brother of US-based senior journalist and former President of Peshawar Press Club and Khyber Union of Journalists Jehangir Khattak, Col. (Retd) Mohammad Alamgir Khan, US-based Dr. Munir Khan, Abdul Majid Khan and Khanzada Tanveer. The award will be given away on March 23, 2017, in Aiwan e Sadr, Islamabad.